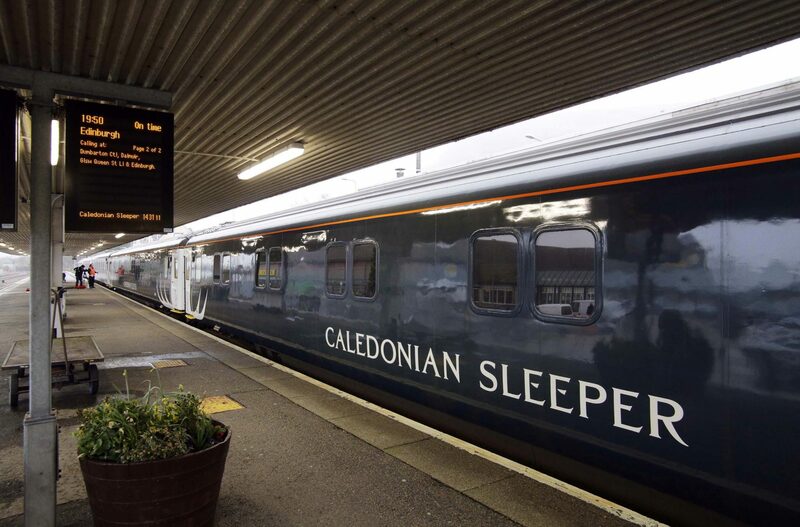 The countdown to the introduction of new Caledonian Sleeper trains has begun with the first carriages arriving in the UK. Five carriages arrived in the outskirts of Glasgow on the morning of January 16, after travelling through the Channel Tunnel to Scotland from the Velim Test Centre, Czech Republic. Following extensive testing, these initial five carriages will be fitted out internally. Fully fitted out carriages will arrive in the UK at a later date. Built by Spanish rolling stock manufacturer CAF in Spain, the new £100 million fleet of 75 sleeper carriages will be introduced to the overnight rail service from October, 2018. The new trains – the first sleeper trains to be introduced to the UK for more than 35 years – will initially debut on the ‘Lowlander’ route between London and Glasgow/Edinburgh. Serco, which began its 15-year Caledonian Sleeper franchise in 2015, said that the new fleet has been designed to accommodate the modern-day traveller. Trains will include wi-fi throughout, hotel-style key cards and more accessible rooms. Scotland’s Minister for Transport Humza Yousaf said that the introduction of new rolling stock can only enhance the reputation of the iconic rail service, which he said was recognised across the world. Previous articleHow will collapse of Carillion impact HS2?